Hello ladies! Am so sorry for the long, long, silence. My baadd… In my last post I said we will be doing the basics of sewing next. 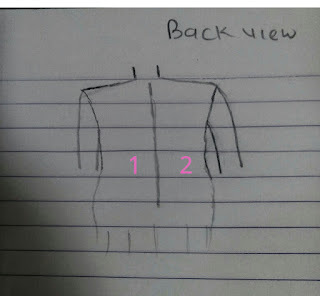 Now here’s the gist; basics of sewing is quite large so i have broken it down into series. Sewing is fun!… but when it’s not going the way you have planned it out to be its daunting. For me at this stage of my various sewing escapades, what has kept me still on the ride are the basic skills I acquired from my aunt ( she went to a standard school of fashion). In school as freshmen, we are taught the introductory part of a course and as we proceed to third or final year we encounter the advanced aspect of that course. Now if you understood the introductory part of that course you would likely not have so much problems when the advanced course comes like a thief at night to serve u hot pepper soup hahahaha…! For you to sew you have to understand the dynamics of the female body. I mean the typical structure, the shape , all her curves and edges.So getting a dress right starts from where and how you take your measurement. You just don’t pick up the measurement tape and measure anyhow no! no! no…..! First everywhere is necessary to measure ya..! you heard me right! Everywhere! So when cutting you would use the appropriate measurement and everybody has a format they follow but whatever format you have must include the necessary places like the shoulder length, bust ( breast), half blouse ( some take this at naval point of our stomach), waist. The bilateral symmetry of the body is what has made the act of sewing easy and this is so because you deal with one portion of the body at a time in four ways. Let's start from the back view of our body. The groove caused by the vertebrae column on our back divides it into two equal halves. 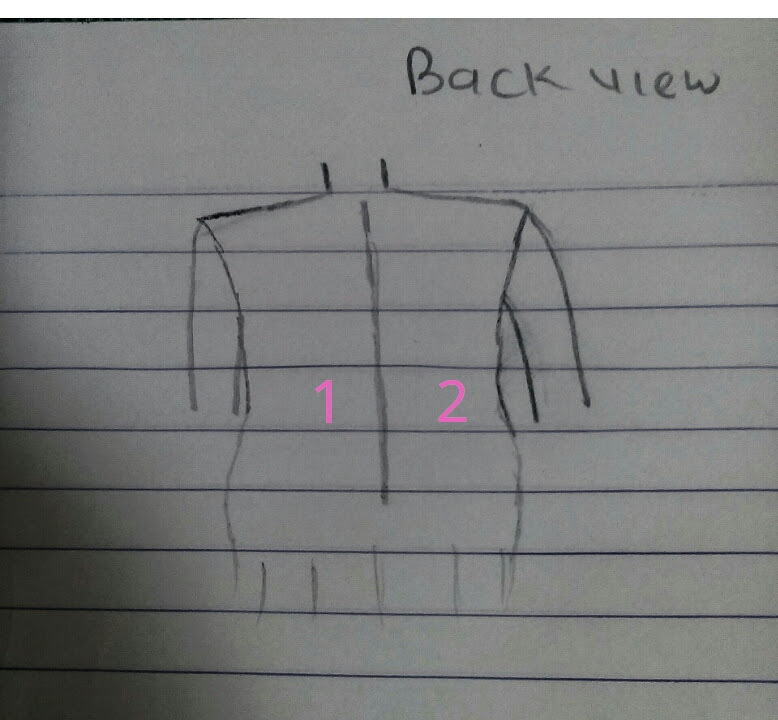 This means when cutting a fabric to sew you have to fold it into four and then mark out your desired measurement i.e if your bust is 28 when you are marking one part of each section you will mark 7 which will double up as 14 on half and when you mark 7 on the other half doubling up as 14 too in the end you will have a total of 28. got it? Whatever you do when cutting or measuring you should always divide your measurement by four and fold the fabric into four too so you will have a corresponding data.My next couple of posts will explain the above better. Stick around. You are welcome sweetie!and thanks for checking the blog out. I'm hooked on this blog!! I'm so gonna gain a lot. Beginner here, I only know how to stitch with needle n thread,lol!